( notar que registrei uma conta através da minha conta do Google, pondo meu e-mail e o nome :Louis Morelli (nao foi feito passyword, username, etc). Discussion in ‘Science and Technology‘ started by Animore, in 11/30/2016 at 7:14 PM. I know this is a stupid question, but bear with me here. This is not skepticism of any kind, but a mere question. If a cause of natural selection is mutation, how would that work, if mutation is a random process? I’m stuck here. If natural selection is adaptation, then how could genetic mutation be a part in it if it’s random? Thanks in advance. Animore, I think I got your problem, because it is my problem also. Environment is not static, it is changing, and not by random, the changes obeys the laws of Physics. So, will be adapted the mutation that follow laws, that walks and dance in syntony with the environment’s movement. The academic official understanding of evolution is not the knowledge of the long chain of causes and effects that’s coming and advancing since the Big Bang ( and since before it because there was an ex-machine chain producing the Big Bang). We can’t know if is there evolution, or, for example, if we are watching a merely process of reproduction of the thing that was existing before the Big Bang. We are inside this chain, rolling with the chain, we have no view about where it came from and where it is going. As says the Godel’s incompleteness theorem: ” Nobody can knows the thru about a system standing inside it”. Then, we have an academic official “theory” believing in evolution. I think that natural selection selects what is naturally designed. Natural design is the force producing all mutations. A random mutation should be produced by something coming outside the long chain (which is nature itself), so, a non-natural force. I think that due the existence of another theory, which I think is more rational than the Modern Synthesis from Darwinian theory. It is called ” The Universal Matrix of Natural Systems and Life’s Cycles”, or Matrix/DNA Theory, which is not known by the academic world. O Universo e’ o Comeco e o Fim do Mundo ( Teoria da Fisica Moderna), ou Ele Termina no Meio do Mundo (Teoria da Matrix/DNA) ? We can’t understand the Universe without Physics and Math as we can’t understand the human body without the bone skeleton. Since that my personal method of investigation lead to a model of a galaxy expressing and covered by biological phenomenons, and that any natural wave of light expands in spacetime by the same way that a human body expands in spacetime – which suggests that light is moved by a vital cycle – I am suggesting that the understanding of the Universe only will be accomplished if biologists and neurologists ( due the presence of consciousness) comes to these telescopes and work together with astronomers, Physicists, Mathematicians, etc. My results are not suggesting that the Universe is alive, or that it is an organism. It is a kind of bone skeleton made off fossils of our ancestors systems (atoms,galaxies…). The Universe stopped evolving while structured as the ground. What is evolving after galaxies is a flow inside the Universe, making the soft meat, like crustaceos with external skeleton and internal meat . My results are suggesting that the universe seems as an egg, dark matter could be like the amnion, but the mist important thing in this history is that our biological DNA is merely the biological shape of a universal DNA, which I called Matrix/DNA, which began in shape of light wave at the Big Bang and has modelling all natural systems, from atoms to galaxies to human brains. So, the theory is suggesting that in this Universe is occurring a process of natural genetic reproduction of the thing that created it ( be it another universe containing biological coberture and consciousness, or other possible system). This theory was elaborated 30 years ago and since then I am trying to testing it, adding lots of predictions that were confirmed in this time, and registering thousands of evidences at its website. If you are curious about see ” The Universal Matrix for Natural Systems and Life’s Cycles”. Remember that the human bone skeleton is made by biological process. If the Universe is the skeleton, Physics and Math alone never will grasp what made the Universe, or what was before the Big Bang.. And they never will found the meaning of life. Epa!!! 20 minutos depois de escrever e publicar o texto abaixo, me vem na Internet um video falando da LUA. E dizem que uma equipe da universidade canadense estudou a relacao entre lua cheia e a alterações na psique humana, como a afluência maior nos hospitais de desordens mentais. Então imediatamente me ocorreu a ideia de que o mistério de quais forças/elementos naturais produziram o fenômeno predador/presa e destes instintos estarem sendo mantidos pela psique humana, pode ser devido a atração de de intensidade entre a dominância da força do Sol ou da Lua sobre nos, o que faz algum sentido e pode ser testado cientificamente. Em que tenho andado a pensar? Muitas coisas, porém uma delas e’ sobre o que estou suspeitando estar havendo uma onda de ataque das forças naturais sobre o mundo humano que fortalecem o instinto predador, dominante sobre o instinto de ovelhas. A volta deles no poder no Brazil, nos USA com o Trump, ate’ a morte de um dos últimos guerreiros defensor das ” presas” – Fidel Castro – e uma series de menores eventos onde vejo os ricos cantando vitória sobre os pobres… Tem alguma coisa sutil e desconhecida acontecendo a nivel natural ( ou a nivel de algo alienígena a nossa natureza) e atrás disso estou agora. Ate parece algo como a hipotese astrologica que acredita em influências das conjunções dos astros, etc. O fato e’ que muito desta existência atual ainda e’ desconhecido por nos, assim como os animais nada sabem sobre aquecimento global, invasao de virus, etc. Nos somos cegos ( ou quase cegos) pois nao enxergamos mais que 10% do que e’ revelado pelas luzes do espectro eletromagnético, por isso não sabemos e nao percebemos a totalidade do que na realidade e’ uma pedra. Mas este assunto dos instintos animalescos na raiz da psicologia humana e as forças/elementos naturais que produzem este fenômeno tem que ser por nos investigado com afinco, senao estaremos f… Temos que exorciza-los da mente humana antes que este planeta pare de suportar a vida aqui… e toda nossa espécie seja expurgada da história do Universo. 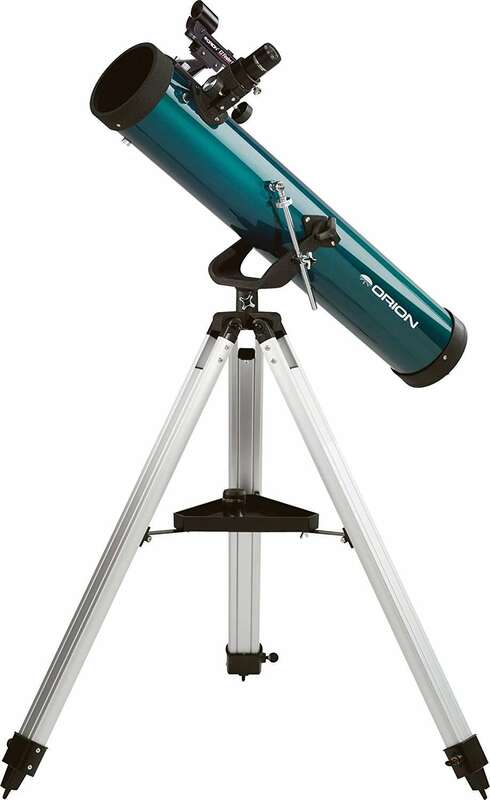 Considering the price, this is a decent telescope. With a 76-millimeter (3 inches) aperture, you still won’t see a huge amount in the sky, but it’s a good introduction to getting to grips with how a telescope and its mount works. 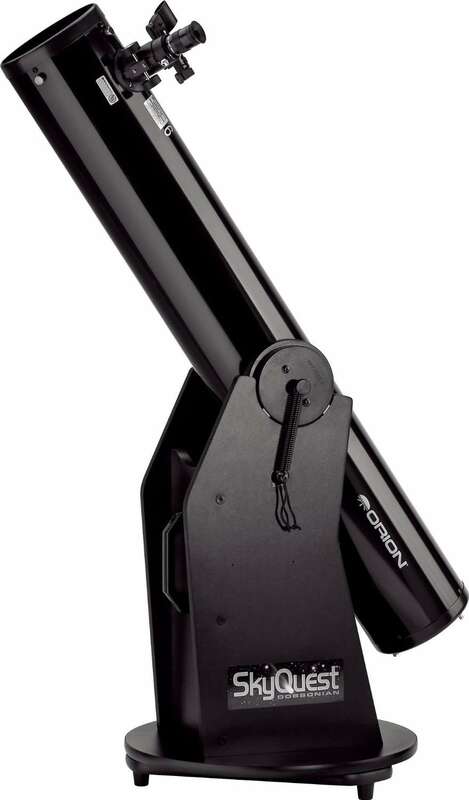 If you’re prepared to spend a bit more, this Dobsonian reflector is a fantastic way to get started. It has a large 152-millimeter (6 inches) aperture, which is good enough to see not only the Moon and the planets, but also deep sky objects including nebulae, galaxies, and star clusters. It’s also fairly easy to move and use, too. 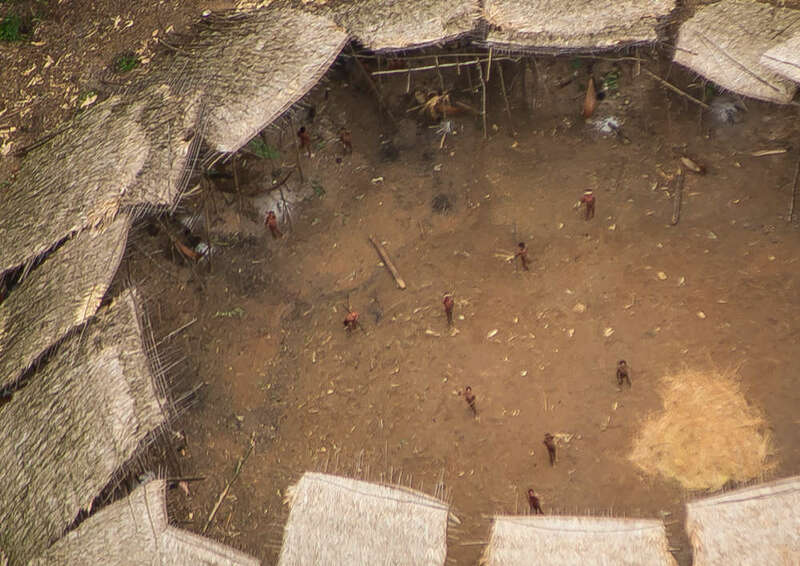 Uma tribo nunca contactada foi fotografada do ar pela primeira vez numa região da Amazônia brasileira que esta mo momento sendo invadida por garimpeiros em busca de ouro. Tendo mantido seu tradicional modo de vida por milhares de anos, os membros desta tribo ( calculados 120 pessoas nesta taba) correm o risco de serem eliminados e extintos em breve se não forem protegidos destas invasões em seu território. (ver mais no link ao artigo acima). Not only natives, but also negroes slaves and till european white immigrants slaves in city like Sao Paulo, enslaved by the portuguese colonialists that are still owners of Brazil, had escaped towards the rain forest. I am one of them, from italian/portuguese agricultors descendance, that escaped into the jungle and living there by seven years, despite the fact that today I am a proud and free American citizen. Why I leave the jungle and came back to civilization? Because in the jungle, as a native instinctive philosopher and knowing lots about naturalism and science, and suffering a wild brainwasch by the green hell, I had the opportunity to check the western knowledge about nature and our existence, doing comparisons with the knowledge of contacted natives and the animals/plants behaviors, from where was built a third world view. Then, I need scientific tools and labs for testing my theoretical models and formulas, and the must indicated country for doing it is USA. the reason I am there now. (see The Universal Matrix for Natural Systems and Life’s Cycles). 3) Place drones with cameras observing what they know/do. They know fire? I think these tentatives will work like that black monolith of ” 2001 – An Space Odyssey” movie, which woke up monkeys for their evolution. We will find same situation in others planets exploring life and finding less evolved aliens. 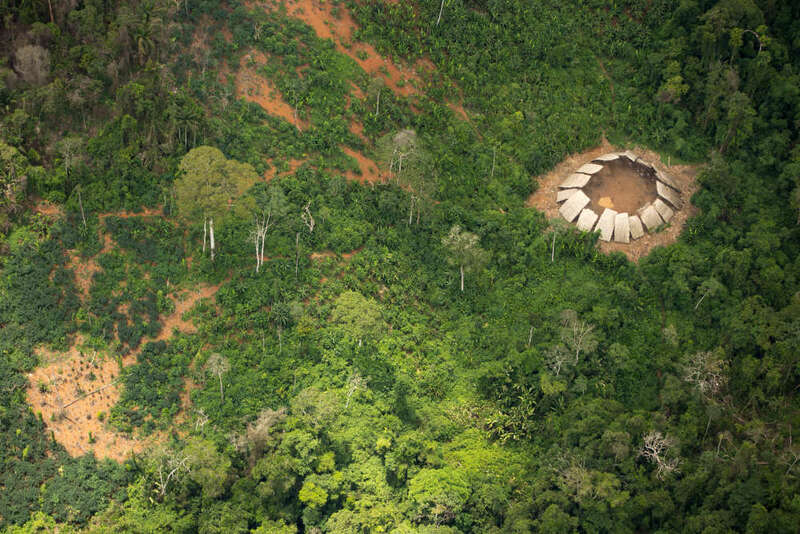 So, the Amazonian tribe will be our learning how to help and spreading love in this Universe. Alleluyah! The old perish, the young flourish. About the reptiles. The old was dinosaur and they perished. But that was not the end of biological evolution. Natural evolution made a reverse time going back to the humble and less evolved reptil called cynodont, and from here Nature took time in normal path again for continuing evolution, transforming the cynodont into a mammal. But our own body is a sample of this mechanism. It is real that the old parents perishes and the young offspring flourishes. But,… this young is a parallel branch emitted by the parents at middle age, before becoming old… What matter here? Protecting and teaching these natives how to evolve, we will leave our youngs that will flourish with friends that will flourish in parallel. Para este autor, ( PHD em Física) a matriz seria uma energia no estado de zero ponto (random quantum zero-point energy) vista como um oceano no vácuo, uma matriz em branco sobre a qual qualquer coerente padrão pode ser escrito. A Física Contemporânea estabelece que um total e pervasivo campo energético chamado de quantum vacuum energy, ou zero-ponto energia, uma casuística, ambiente flutuante energia que existe mesmo no chamado espaço vazio. O adjetivo ” zero-point” significa que tal energia ou atividade existe mesmo em temperatura de zero graus absoluto onde nem os efeitos de agitação térmica existem mais. Para mim, baseado na minha teoria da Matrix/DNA, essa energia flutuante no vácuo nada mais e’ que a onda de luz com o código primordial para sistemas naturais, avançando em meio a dark matter, a qual e’ inercia absoluta no zero absoluto. Portanto, de certa forma, nossas teorias estão correlacionadas. Com a diferença de que a matriz energética dele teria a essência de ser ao acaso, enquanto a minha tem um proposito, e’ um programa genético.